3. Caroline Young born about 1861 and married Henry Brown on December 27, 1876, witnesses were Jane Sebrew, Adolph Perry and Reverend Thomas Perry who performed the ceremony. 4. Malinda Young born May 1853 on Archinard Place and married Thomas Madison on December 20, 1873. Thomas Madison was born November 1852, and the couple had 17 children and ten lived. 3. June Addison born February 1892. 8. Mary Addison born 1901(twin). 7/6/2016 Newly added information from 5/19/2015: Annie Addison Taylor identified herself as the grand daughter of Samuel Addison. a. Elizabeth Winchester Haines born February 5, 1915 and died August 3, 1987. 3.. Charity Winchester married Ivory Simon on September 11, 1923. 5. Charlotte Winchester married Mack Gilder on august 12, 1915. 4. George Morris born October 188? 8. Louisa Young born about 1864 on Bayou Rapides Parish Ward 8 married 3 times; Joseph Batups, James Beatty, and Willie Crankshank, and was the mother of seven children listed below. 1. Isaiah J. Lawson Junior who was a dentist. 9. Atlanta J. Young Junior born 1869 married Cecilia Wagner on December 12, 1891 who was born about 1868. Reverend Lanty James Young and his wife Cecilia moved to Alexandria and lived at 2307 Harrison Street. He was employed at George C. Vaughan and the couple had ten children. 4. Katie Young born 1900 and married Hubert Thorne on December 13, 1931, She was employed at Magnolia Petroleum Co.
5. Lillian Young born 1903 died April 13,1978 and was buried at Holly Oak Cemetery in Pineville Louisiana. 6.Ethel Mae Young Comfort born 1911active member of Second Bethlehem Baptist Church . 7. Rev. James Young born 1907 was last living in New Orleans. 10.Gertrude young born August 1897 was a nurse and resided at 2307 Harrison. 10. 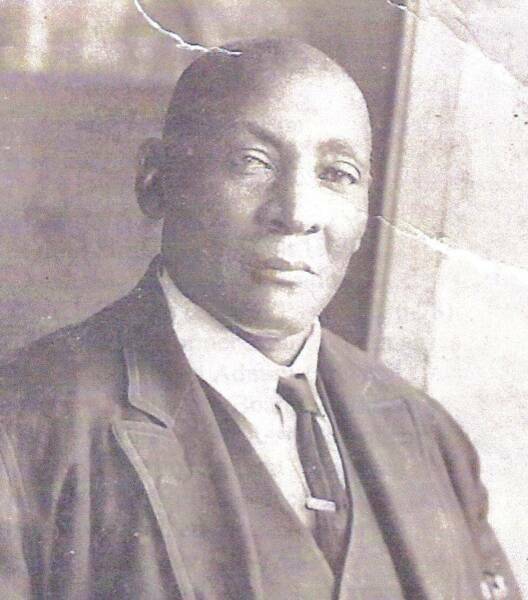 Elijah Young born June 1875 in Bayou Rapides Parish, Ward 8 married Mary Shorter on December 16, 1903. They migrated to Alexandria Louisiana before 1910 according to the 1920 Census and purchased a home at 617 Elliot Street. Elijah and Mary had one son. 1. William Young who was born about 1908. Mary Young died before the 1930 Census. (4) and Steven Y Brady who married (a)Eloise Young and (2) Dora Howard .